What kind of cities do we want? And how do we get them? 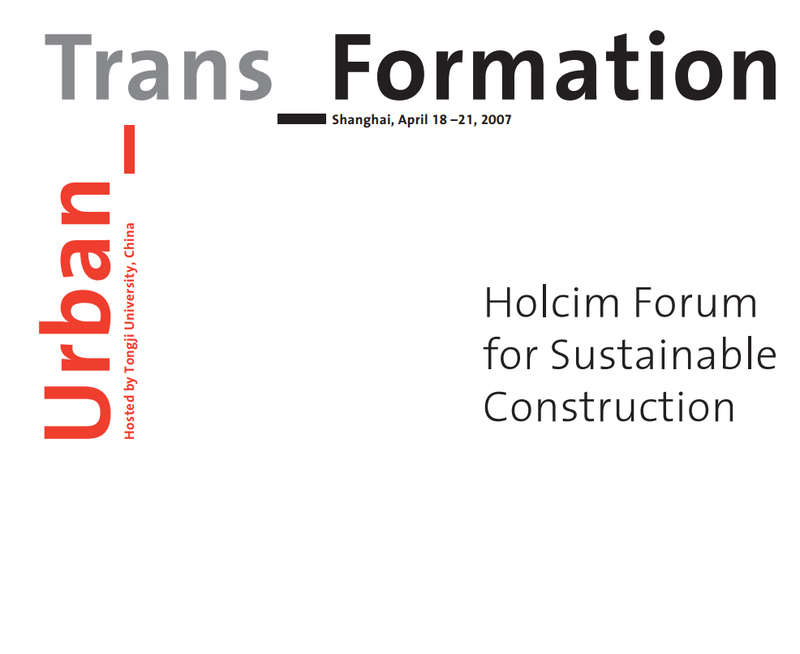 The Swiss Holcim Foundation for Sustainable Construction recently offered 250 experts from around the world an opportunity to exchange ideas about such questions in Shanghai – at a Forum on the topic "Urban_Trans_Formation." "The battle for a sustainable society will be won or lost in cities," Klaus Töpfer is convinced. During a panel discussion at the Holcim Forum for sustainable construction the former UNEP director and German minister pointed out that for the first time in history more people now live in cities than in rural areas. Worldwide, the number of urban dwellers grows by roughly 1.25 million people every week. In Asia, Africa and South America, urbanization is particularly volatile, with demographic development often exceeding the economic capacity of cities, which explode into megacities. The need for sustainable development is apparent. In our expanding cities, today's generations must manage to meet their needs without leaving behind a legacy of impoverishment, robbing subsequent generations of adequate opportunity. At the "Urban_Trans_Formation" Forum about 250 experts from over 40 countries investigated the subject of sustainable urban planning. That the seminar took place in Shanghai is no coincidence. 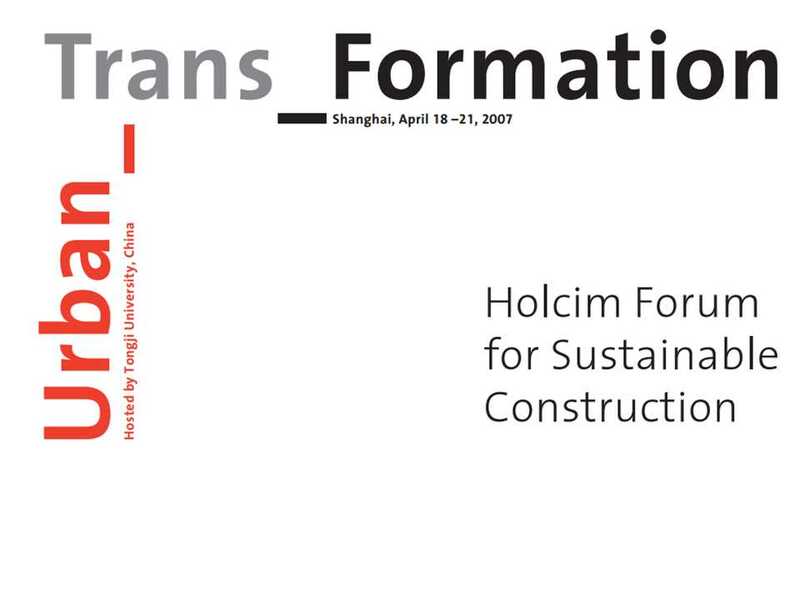 On one hand the Holcim Foundation works together closely and worldwide with leading technical universities – in Asia with Tongji University, which was founded exactly 100 years ago, and on whose campus the Forum was held. On the other hand Shanghai is a unique laboratory of urban development. In hardly any other city is the rate of development so dizzying; here social, organizational, and structural changes can be observed quasi in fast forward. In addition, China and Switzerland – the two countries that sent the most attendees to the Forum, along with Brazil and Mexico – are structured very differently, providing ideal fertile soil for fruitful discussion and inspiring exchange of experience. The breadth of the topic Urban_Trans_Formation can be seen by comparing the growth of Asian and European cities. In Asia expansion prevails; in Europe stagnation, or even shrinkage, as illustrated by vast areas of eastern Germany. In order to treat this broad subject in a balanced way, the architects, engineers, urban planners and natural and social scientists participating at the Forum along with representatives of business, politics and the general public, concentrated largely on five aspects of urban development: normative, informal, green, touristic and temporary urbanism. In five workshops, experts presented diverse studies and projects, which were then passionately discussed during two half-day sessions. Prominent guest speakers investigated the topic within broader contexts. 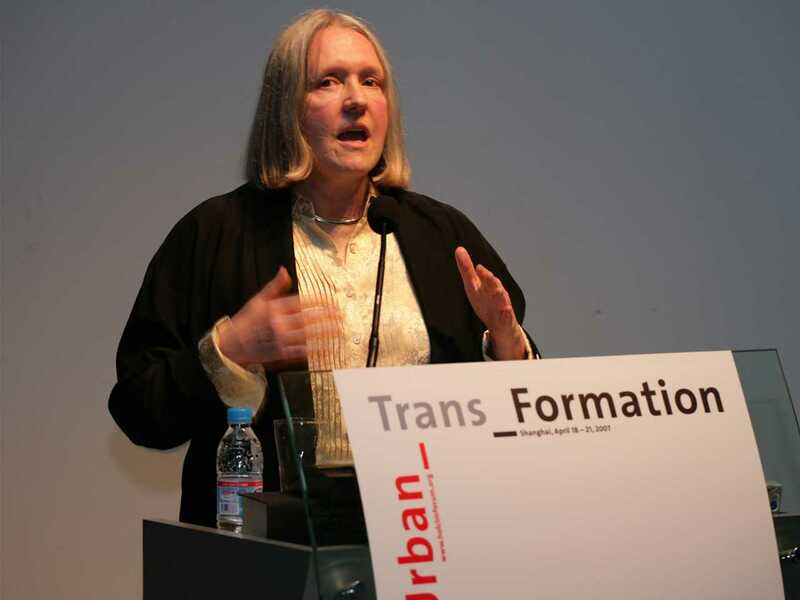 Saskia Sassen, Ralph Lewis Professor of Sociology at the University of Chicago and author of the standard work The Global City, pointed out at that policies are decided in cities today, however, cities have increasingly complex power structures. French architect Jean-Philippe Vassal presented his sustainable rehabilitation concept for outlived buildings. To conserve finite resources while maintaining valuable social fabric, Vassal modernizes old residential buildings both carefully and radically – in equal balance. Urban_Trans_Formation by no means called for tabula rasa, but builds upon existing fabric. Enrique Peñalosa, former mayor of Bogotà, calls for cities to be designed again for pedestrians and not motorized traffic: "Today automobiles are to children what wolves were in the Middle Ages. Is this really everything we have to offer after 5,000 years of urbanization?" Cities good for children are good for everyone, Peñalosa assured. The end of the open city? 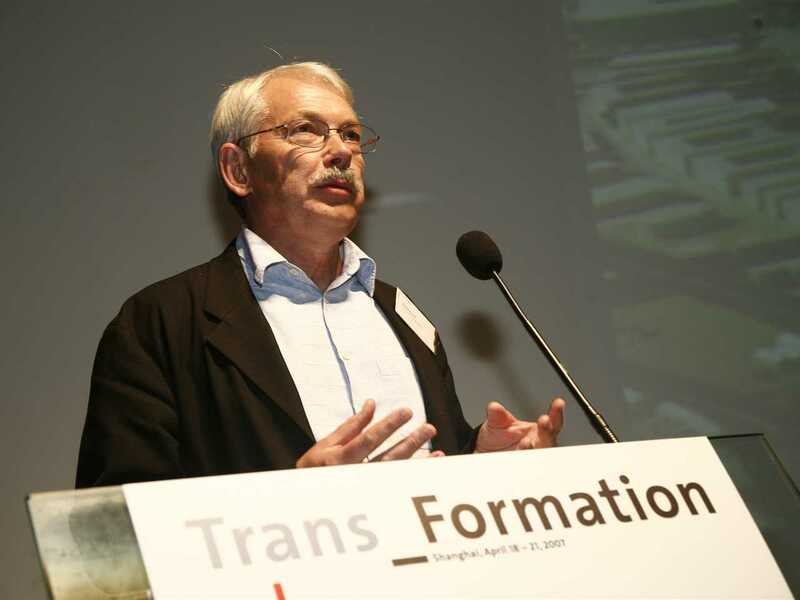 Kees Christiaanse, Chair Architecture and Urbansim at the ETH Zurich, made other historical references. He showed that many cities develop into an agglomeration of sterile, partially inaccessible, disjointed parts. At the beginning of the 19th century European cities were open and accessible to everyone; now a partial relapse into former times is threatening, as cities are becoming closed to the outside – with all social ramifications. The future of cities full of "gated communities" described by Christiaanse was discussed especially intensely. Nobody wants such cities, yet they seem to be increasingly turning into a matter of fate. Peter Head, Director of Arup, one the world's largest engineering firms, documented what it actually means to build sustainably in China or London. Success can be achieved only through careful networking of innumerable measures, some of which appear insignificant at first glance. "Because," he explained, "systems are linked even if we don't yet see the linkages." 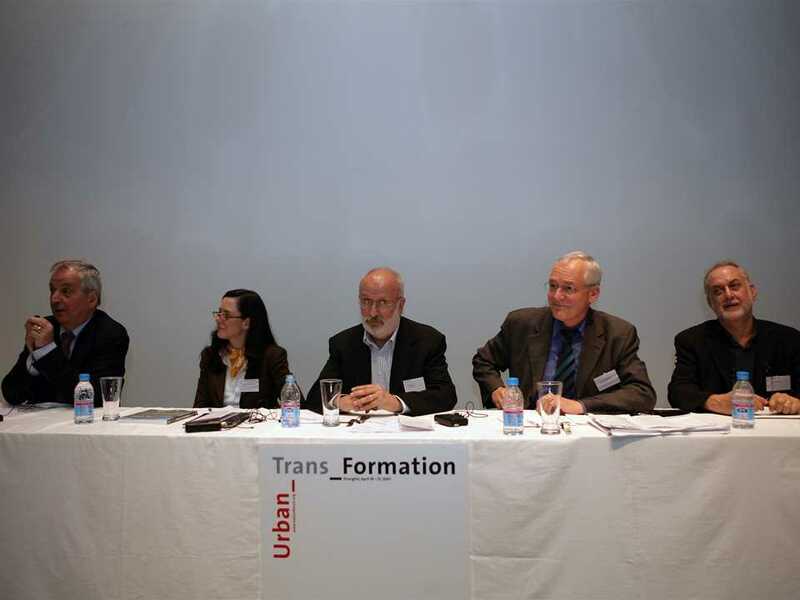 Achieving Urban_Trans_Formation is unquestionably an interdisciplinary challenge. It demands close cooperation among politicians, architects, urban planners, investors and citizens. Hence personal exchange among the experts from various disciplines was especially important at the Forum. 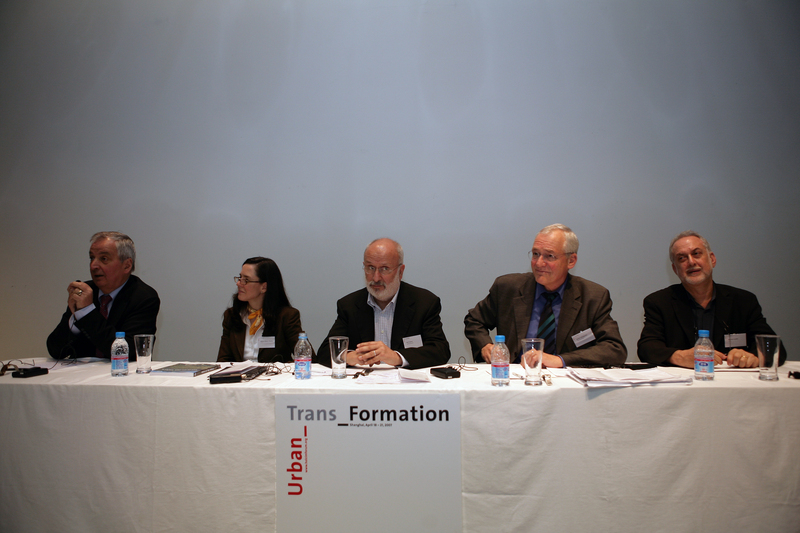 For instance, participating in a panel discussion besides Klaus Töpfer were Elmar Ledergerber, Mayor of Zurich, Molly O'Meara Sheehan from the Worldwatch Institute in Washington, D.C. and Michael Sorkin, Director of the Graduate Urban Design Program at the City College of New York. The scales of Urban_Trans_Formation vary greatly worldwide, but the Holcim Forum showed that the problems to be tackled concerning sustainable development are similar everywhere – and the goal is the same everywhere: creating cities worth living in today and tomorrow. As a globally active provider of cement, aggregates and concrete, Holcim Ltd is committed to seeing that these materials are used as sustainably as possible. 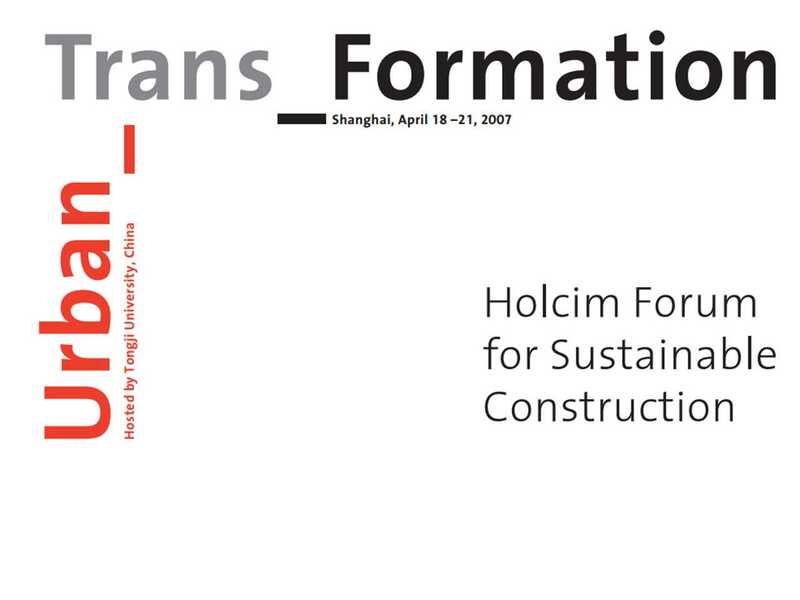 Hence the Group established the independent Holcim Foundation for Sustainable Construction at the end of 2003, to advance sustainable construction worldwide. One activity of the Foundation is to incite academic discourse of sustainable construction by issuing technical publications and organizing Forums. 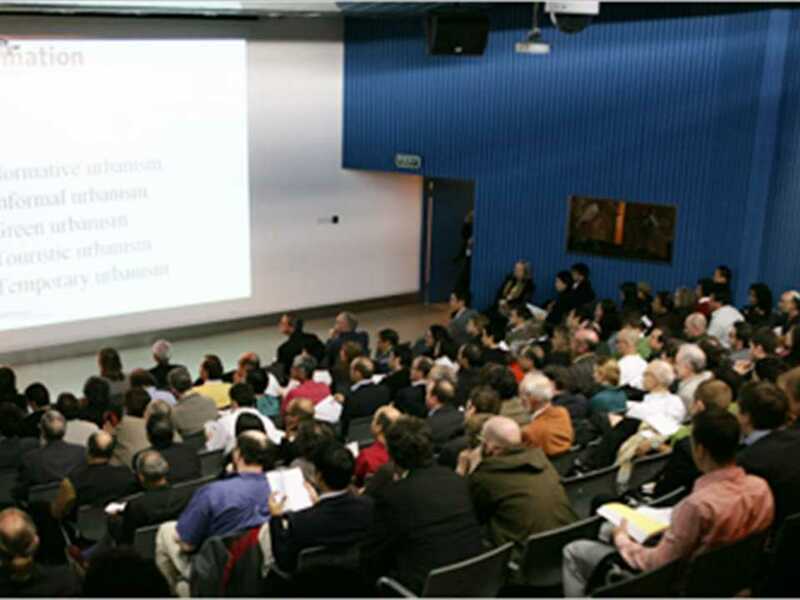 The first Holcim Forum, on the topic "Basic Needs," was held in 2004 at the ETH Zurich. 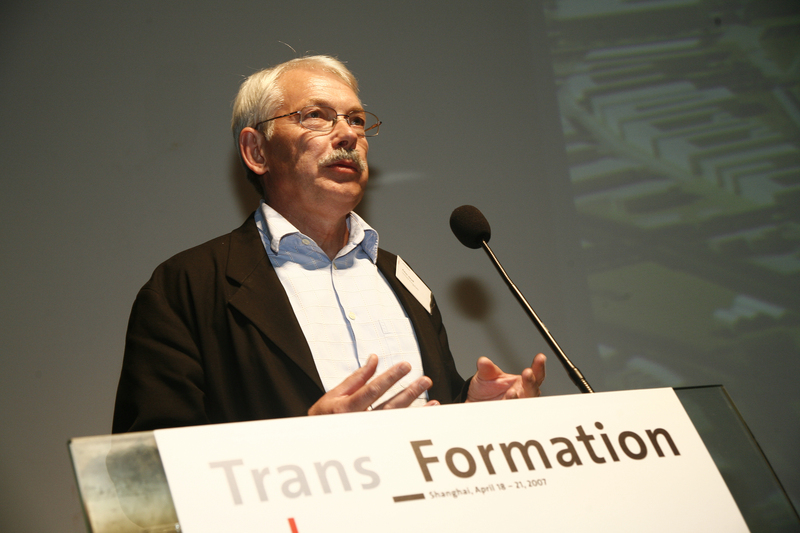 The second, "Urban_Trans_Formation," was held in April 2007 in Shanghai. The Holcim Foundation also supports research in sustainable construction and funds sustainable building projects that lack finances for realization. Of all the Foundation's activities, the Holcim Awards program enjoys the highest profile. This competition carries two million US dollars in prize money and recognizes building projects with model character. The Awards are presented every 3 years, following a two-stage competition. First the best projects are sought and awarded in five geographical regions: Europe, Latin America, North America, Africa Middle East and Asia Pacific. The winners of regional Holcim Awards automatically qualify for the global Awards competition. Global Holcim Awards were presented for the first time last year in Bangkok. In the current second cycle of the competition the deadline for submitting entries to www.holcimawards.org is February 28, 2008. The Holcim Foundation cooperates closely with leading technical universities on five continents: the Swiss Federal Institute of Technology (ETH Zurich), Switzerland; Massachusetts Institute of Technology (MIT) in Cambridge, USA; the Universidad Iberoamericana (UIA) in Mexico City, Mexico; the University of the Witwatersrand (Wits) in Johannesburg, South Africa; and Tongji University (TJU) in Shanghai, China.